Shaun and his tech crew are available daily to check your equipment's performance, fit and function. They can also touch up your edges, apply a little wax and give advice on other equipment options. 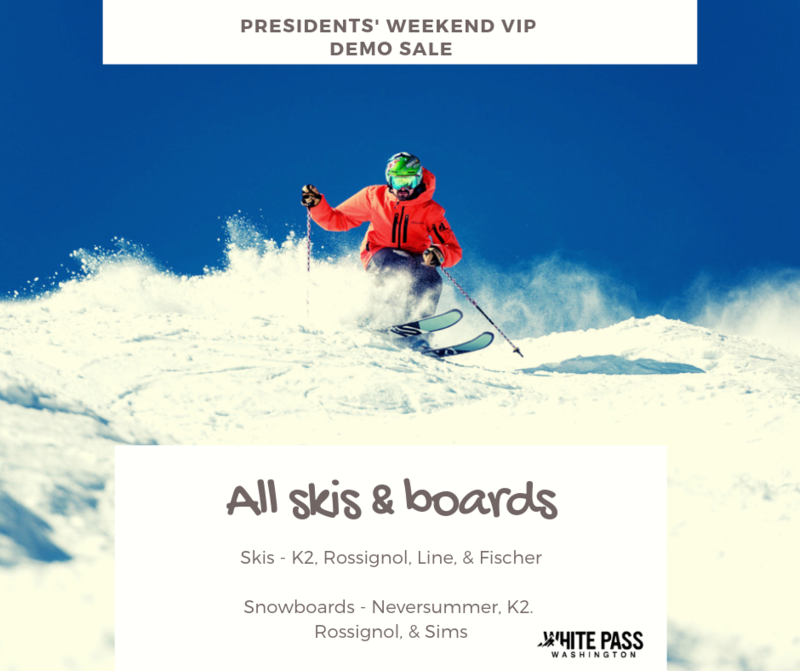 Demo a variety of skis or snowboards through our VIP program featuring models from K2, Rossignol, and Never Summer. White Pass offers skis, boots and boards for sale. Stop in and check out our inventory or ask about special orders. Our crew will fit you with the best equipment for your skiing or riding style. DEAL! When you purchase new skis you'll also receive a free all mountain lift ticket & free hot wax!